Mississippi Girl Misplaced: Back from living under a rock! Hello followers (if I still have any haha)! I haven't been very attentive to my blog lately so I thought I'd finally update everyone on whats been keeping me away! Its been very busy around here at Mizzou. Last week was spring break so the week before was hectic with exams and work due! For spring break I went to Niceville, Florida through a program called Alternative Spring Break. 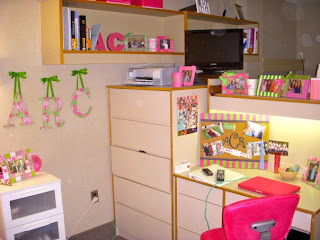 If any of my college followers have this at their school I highly recommend it! Alternative Spring Break sends groups of college students to different areas of the country to do different kinds of service work. I did coastal restoration to help clean up after the oil spill, a cause which is very near and dear to my heart, as some of my home town in Mississippi was affected by the oil spill. This is our lovely camp we stayed in! 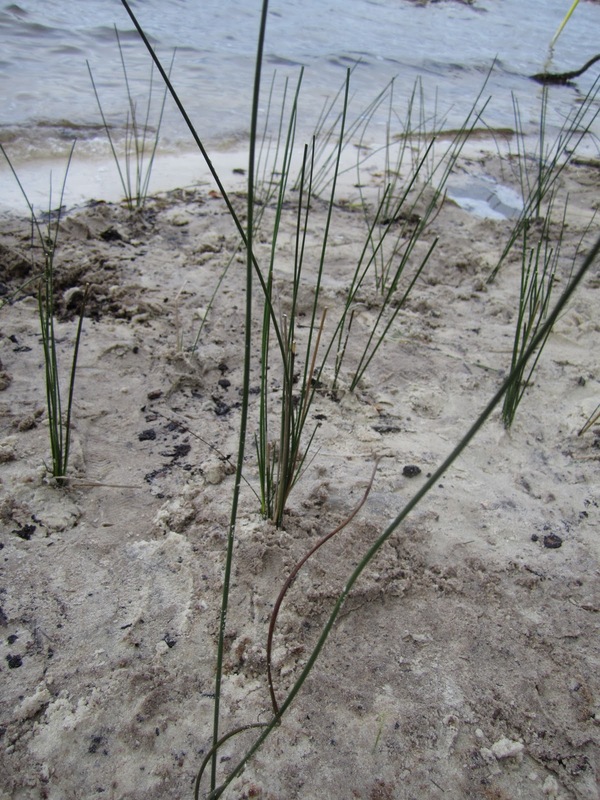 We spent the week doing things like forest restoration and my personal favorite, sea grass planting. 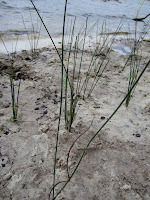 One of the pictures below is some of the sea grass I and my work partner, Tim, planted. The other is one of the oyster reefs. 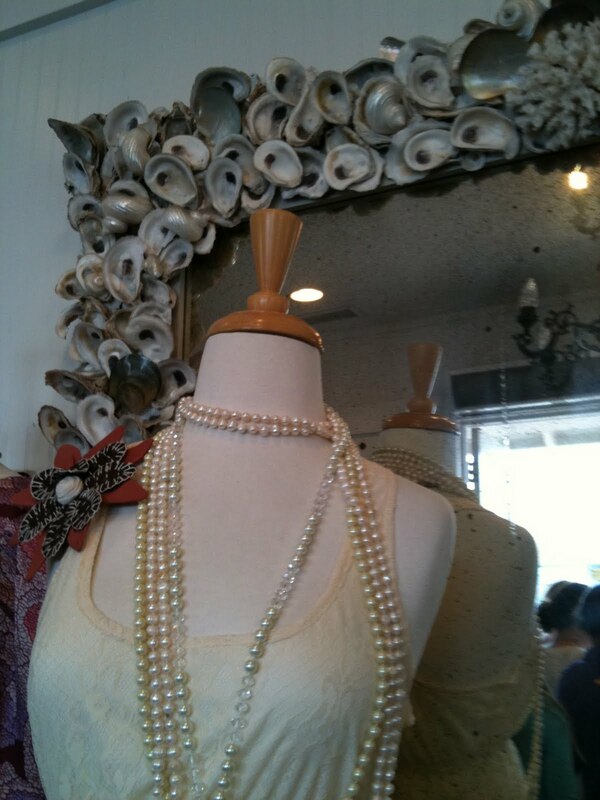 Speaking of oysters I saw this gorgeous mirror while in a boutique in Florida! I am determined to craft this one day! Perhaps as a present for my mother or grandmother, who both still live on the Coast. I will have to practice on a smaller scale first! But now that I am finally back I have a lot of stuff to catch up on! Even though my trip was amazing, it set me behind on a lot of things other people got done over the break! I am going home this weekend for my first 5k (wish me luck!) and I have a long list of things to do. Firstly, Debutante is coming up and I have to get shoes for my dress. I got a yellow floor length gown that ties in the back. Unfortunately I do not have a picture of it, I will have to post some after Debutante. I have to get shoes for the dress and get it hemmed to fit the shoes. I also have to get a birthday present for the boyfriend! I can't share my ideas because the sneak reads my blog! And lastly I have to put together my cousins graduation "basket". I use basket lightly because instead of one big present, my father and I are going to get her a few small presents for a 'basket', but now we are just going to wrap them individually so she has lots of things to unwrap! First on the graduation list are some Gameday Girls earrings! Everyone has probably heard of Gameday Girls, but if you haven't go check them out! Taylor (my cousin) is going to Belmont University in Nashville, TN so I emailed the site and asked for a pair of custom BU earrings! 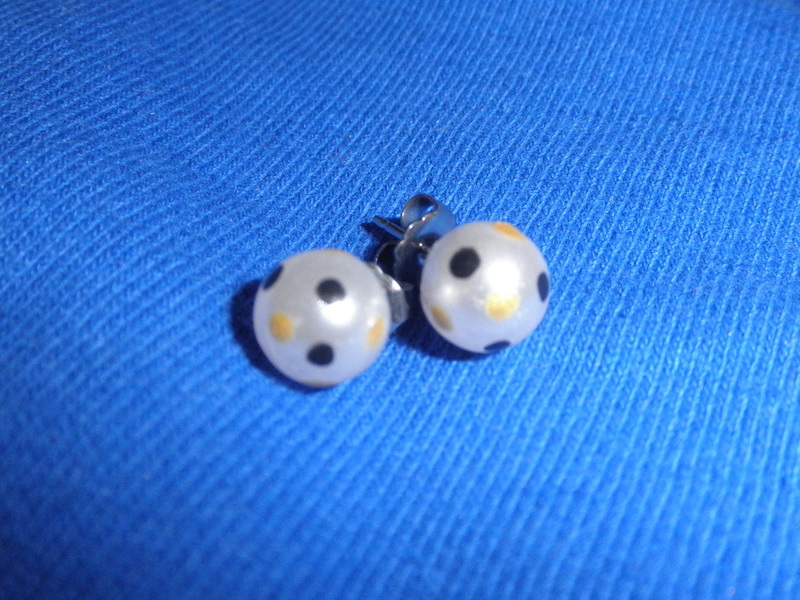 Stingy me also asked for a pair for myself (at $13.00 it'd be a shame not to ;)) in Mizzou theme! They'll be perfect for game days (of course!) and I thought Taylor would enjoy having them to wear to any school events! Hmm maybe they can make the Clemson pawprint into a Mizzou one? ;) They also have other accessories like headbands and necklaces. Gameday Girls, please extend your product line to the Midwest! It would make some Mizzou girls very happy! I'm also going to make Taylor some wall letters! Luckily her initials are TAM (i.e. reversible!) so I'm going to paint one side with her room's theme colors (pink, green and zebra!) and the other side with Belmont colors (navy and red). Then I'll tie some ribbons up so she can hang them on her wall like this! I'm also going to make her a picture frame to match her room's colors with a bow (zebra print) and a pink button with a green T on the bow. I'm also going get her a magnet board with her monogram that matches her room and probably a monogrammed necklace. I'll have to post pictures once I have it all and crafted! Lastly, I thought I'd post some things I'm craving! Snow balls, not those horrible 'snocones' they have up here in the Midwest. Snocones are hard little hail stones of ice with some colored flavorless maple syrup poured on them. 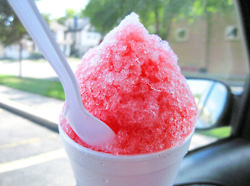 Snow balls are delicious shaved ice that can only be found in the South! I miss them so much! 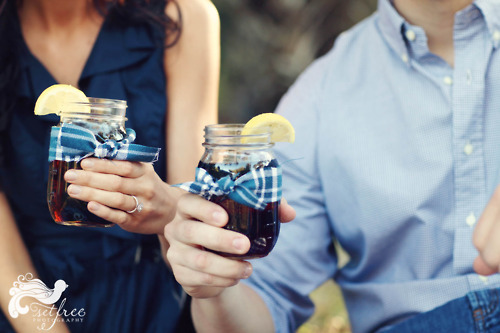 And iced tea! I gave up tea for Lent and have been pretty good so far, but I want it to be over! I miss it!